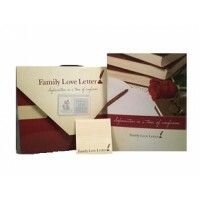 What is the family love Letter ? 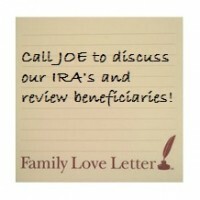 The Family Love Letter is a gift – of time, love and clarity. It is a Legacy for the Living. We will all leave a legacy. Will it be a legacy of confusion or of information? Will we add to the trauma of our death or incapacity by adding to its inherent confusion, or leave a roadmap for those who follow? Will we leave a Legacy for the Living – of the stories, hopes and desires for our family? The Family Love Letter is an indispensable planning tool allowing you to enhance the legal planning and legacy documents you may have prepared bringing clarity, reducing stress, and minimizing the conflicts, which often follow an incapacity or death. 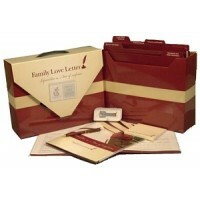 The Family Love Letter organizes the 'paper trail’ you create over your lifetime. It attaches you ‘voice,’ giving your loved ones the insight and direction that you want to provide them at these challenging times. "When my father died, he left a house full of memories, but little information. To this day, I remain concerned that I did not know what he intended to happen and what legacy he wanted to leave behind. I did know that he wanted to he buried in Arlington National Cemetery, but even then, it took me days of searching to find his military discharge papers that showed he could be buried there. I finally found them as a bookmark in a book on his shelf." 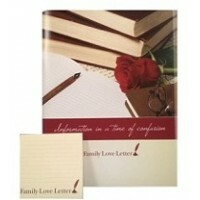 "No one likes to think about these matters, but we can’t overstate the importance of the Family Love Letter. It prepares loved ones for the confusion of difficult circumstances. By pulling these important documents together and leaving important details in one place – email passwords, codes to the safe, etc. – men and women are getting their house in order for the good of those they are about most." In drafting a Family Love Letter, individuals give their families a lasting and important gift – all the vital information loved ones need to know in case of sudden incapacitation or death. Completed with a team of financial and professionals advisors, these individuals are literally making plans and taking inventory on behalf of their families – financially and otherwise, the letters include everything from wills to key contact information for lawyers and accountants to insurance policies to statements of ethics to funeral requests. Just as important is giving your family the peace of mind that comes with clear instructions on your wishes, intents, assets, benefits and advisors. All too often, people fail to leave behind correct and complete information for their families. Without clarity of desire and specificity of information, families struggle about “what to do,” experience conflict, overlook assets or make costly, and often, irrevocable mistakes.